What is a drip campaign and how to use it? A drip campaign is an automation tool that is used to promote a product to prospects. The main thing about it is sending emails containing information about the product repeatedly within the definite period. This instrument is widely used to not only promote the product but remain in the customers’ mind and be relevant on the market for a long time. In simple terms, the drip campaign is a series of emails sent according to the manufacturer’s schedule. Drip campaigns work automatically, and you can create them according to your needs and set the time and frequency of sending according to your wishes. Many people who use them have already seen their advantages. But, some groups have just come to know and just started using this drip campaign method. There are some things that newbies must pay attention to while making their drip campaign. For the newbie, it will be great if you create a user behavior pattern because it will influence the drip campaign further on. Such as sign-ups, regular visitors to the blog, infrequent visitors, signed up and not visiting again. Some users who have already registered but are not active or the membership period has expired, and many more. These consumer habits that you must learn at the beginning so that you can determine the target and form of promotion that you will use. To be able to use the drip campaign to the full, you must first set targets and objectives from using this method. The goal is, for example, to make consumers recognize your product, or make consumers spread product information to people, or cover your product brand to the public. Determine the content of the emails that you will send according to your marketing goals. 3) Plan the time and frequency of the drip campaign. According to the point number one, to plan the campaign, you must learn from the user’s behavior. But you also need to know the statistics: which days and time show the highest open and click rates. Otherwise, all your emails will simply disappear in the customers’ inbox. All you have to consider is that each email campaign must be based on a predetermined time interval. For this purpose, most of tools offer users something like a delay feature or scheduling. You can set the drip campaign sent regularly every 10 hours, or five days, or every month. 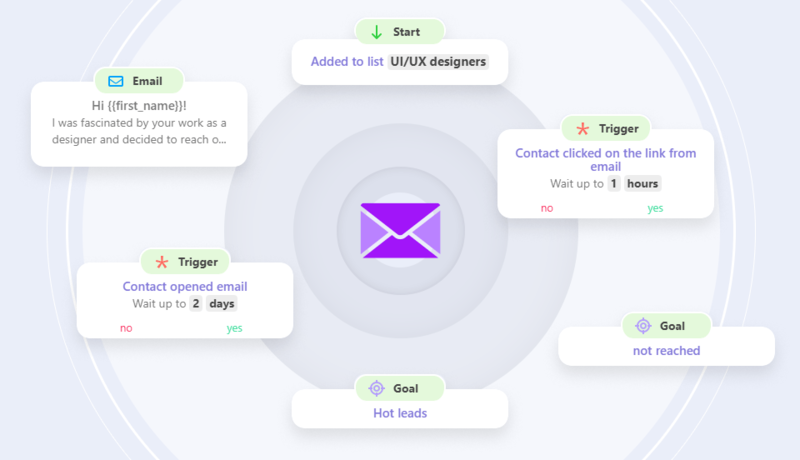 What is great about drip campaigns, you can add triggers, so the recipients will get a new email from you every time they perform a definite action set within the trigger. 4) Use an application that is easy to use. Creating a product promotion seems easy, but you never know until you try. For those of you who have just started using drip campaigns, it’s of great importance to choose the best easy-to-use tool. Look for websites that can help you make drip campaigns easily and quickly for free or at least at a low price. There are several popular platforms which offer drip campaigns. For example, Snov.io which is an affordable service that also offers freemium. The most significant features are provided within the service: triggers, delays, email builder, goals, and custom variables. 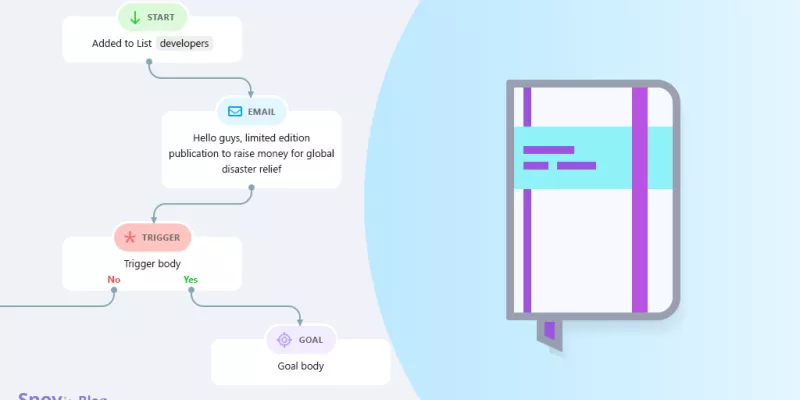 With their email drip campaign builder, you will be able to create triggered follow-ups, follow the campaign statistics, and save email templates. This website is perfect for both new and professional users.